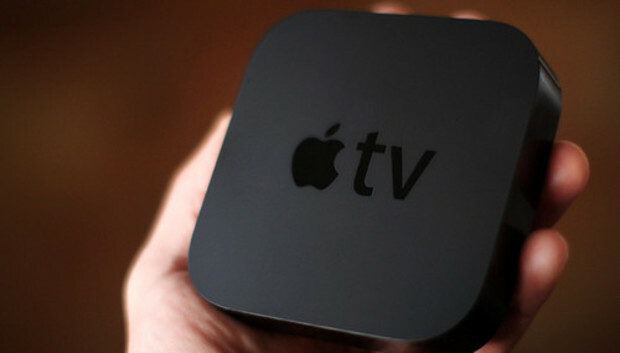 Just when you thought it was safe to turn on the ol' Apple TV, three new channels have made their debut on the company's set-top box, bringing the total number of services to roughly six quadrillion. Give or take. As with most of the other content channels on the Apple TV, you'll need to prove your loyalty status as a card-carrying cable or satellite subscriber in order to access full episodes and other videos. As of this writing, there are only options for a few services, including DirecTV, Verizon FiOS, and Optimum, but more are surely on their way. And just in case you're starting to get a bit overwhelmed by all the icons, remember that Apple has recently made it a little easier to hide certain unwanted channels from view. Highlight the channel you want to hide, then press and hold the select button on your Apple TV's remote until all the icons start to boogie. Press the Play/Pause button on the remote and choose Hide This Item. You can also rearrange the channels to your liking, although you might find your careful system disrupted the next time Apple spontaneously drops in new content partners, which at the current rate could be any time from tomorrow to two months from now.